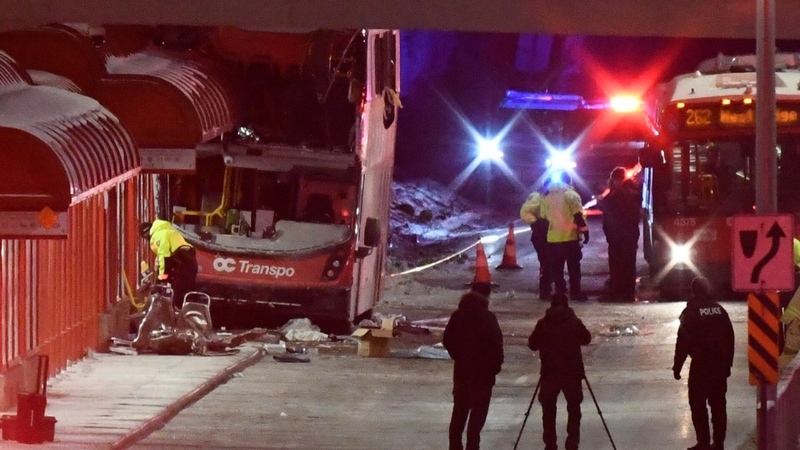 Ottawa police have released the driver who was behind the wheel of a double-decker bus that collided with a transit shelter on Friday, killing three people and injuring 23 others. The OC Transpo driver was arrested following the horrific crash at the city’s busy Westboro Station. The force of the impact tore through the bus’s top deck, with one passenger describing collapsed seats, blood on the floor and no way to escape the wreckage. 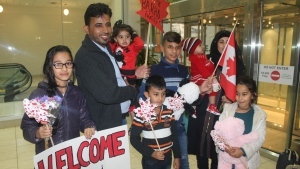 The driver was taken to the police station for an interview and released Saturday without conditions, Ottawa Police Chief Charles Bordeleau said. “It’s important that the public does not read into the fact that she was arrested,” Bordeleau said during a press conference on Saturday. Investigators are still working to identify the victims of the crash, police said. “We will not be identifying any of the victims at this time,” Sgt. Cameron Graham said. Officials initially reported that of the three people killed, two passengers were on the bus and a third person was on the platform. That, the police chief added, still needs to be confirmed. In a Saturday morning tweet, The Ottawa Hospital issued an update on the status of patients they received. One remains in critical condition while six others are still listed as serious and four have been upgraded to stable. According to Miles Cassidy, the chief of Ottawa’s paramedic services, many suffered blunt trauma injuries. “We are reviewing all aspects of the collision, including the vehicle, the roadway, weather and the driver’s actions,” he explained. Speaking to the media on Friday, Bordeleau suggested that the weather -- icy roads and bitter minus-15 cold -- could be a factor in the crash. Six collision investigators have been assigned to the case, supported by officers from other sections. Investigators will be making calculations to determine the speed of the vehicle. The bus and its maintenance records will also be inspected. He added that investigators will be looking at the road conditions for tire marks and other evidence. On Saturday, police drones took overhead images of the crash site while officers collected daytime photographs, took measurements and spoke to witnesses. A tow truck eventually arrived at the scene to pull the mangled bus away from the shelter. The bus was almost at its 90-passenger capacity when the crash occurred, police say. They are appealing to anyone who was on the bus to identify themselves. One those passengers is Mike Sharp. He was lucky to walk away unharmed.